Friends, I have been around the music and entertainment business longer than I care to publish. I have rubbed shoulders with singers, songwriters and/or recording artists since I was a young teenager. It is safe to say that I have a sense for entertainers. There is not a lot that they can tell me about professional musicians on the road that I have not actually seen or experienced. Here’s why I’m telling you this. Because when I say that Derek Bohl is not only talented and a really good writer, singer and recording artist, but he is genuinely a breath of fresh air and redeems my faith in the future of today’s recording industry. There is probably forty years between our ages, but I will tell you that I thoroughly enjoyed my visit with Derek at his studio. 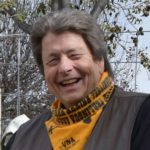 This is an interview that I think you will enjoy as well. 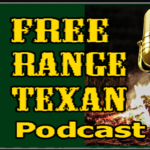 It should come as no surprise that I highly recommend Episode 16 of our Free Range Texan podcast. Oh, yes, and one more thing … I have found myself enjoying his tune “Meet Me In The Middle” over and over in our Studio or just in my head during the day. I think you’ll like it. Previous Previous post: Who Knew Michael Shawn Could Dance?